Freelance journalist in Birmingham with a passion for the dynamic theatre, art, food and fashion scene in Britain's 'Second City'. Art nouveau architecture is the essence of beauty and style and there are some great cities to wander around and enjoy these decadent surroundings. Here's a round-up of a top 5 to holiday to from Birmingham. The artistic movement of art nouveau relates to the period from 1880 to 1910 that became known for featuring curvy and vertical lines, stained glass often with stylised flowers and women with long, flowing hair in a nod to the pre-Raphaelite look. Some of the most famous designer names associated with this period include Charles Rennie Mackintosh, Louis Comfort Tiffany (for his Tiffany lamps and shades), architect Victor Horta, Rene Lalique and Emile Galle. Painters Salvador Dali and Marc Chagall were also influenced and involved with the style. Close enough to enjoy a weekend break, here are some top travel ideas for a holiday with beautiful backdrops. Riga is a vibrant city that is still a real secret in terms of its art nouveau buildings, many created by Russian architect Mikhail Eisenstein. It's simply wonderful to walk around and take in the exquisite sites. It was at the turn of the 20th Century when industrialisation and growing wealth led to new buildings across the city. A staggering 40% of all buildings in central Rīga were built in the Art Nouveau style after 1904, famed to be considerably more than in any other city in the world. These beautiful buildings have stood the test of time and still dominate the skyline. There's also an Art Nouveau Museum in Alberta Street in a building from 1903 that was once the apartment of its architect Konstantins Peksens. If you are visiting, it is worth taking in the excellent Occupation Museum in Raina bulvaris 7, which details the Russian and German occupations and is a fascinating place to see to get a greater understanding of the city and country. For more information on art nouveau in Riga visit the Visit Latvia website. A lively and atmospheric city, Riga has plenty to keep you busy for a weekend with interesting museums, parks, shopping, bars, a tea house and boat trips. HOW TO GET THERE: Birmingham International has regular indirect flights to Riga with Air Baltic, Brussels Airlines, KLM and SAS from around £300 return. What could be more art nouveau in style than the Metro signs that grace the Paris underground? The Metropolitan by Hector Guimard has become synonymous with the art nouveau movement and even Salvador Dali was influenced by the beautiful style in this city. 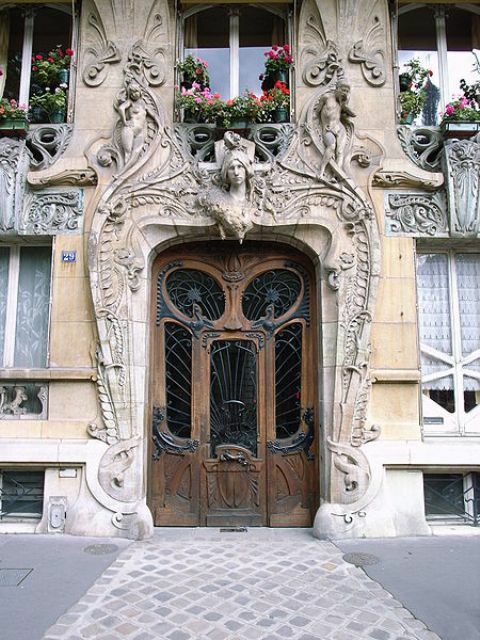 But there is much more to Paris than these signs and there are touches of art nouveau on many streets, such as the doorway shown above, which is number 29 in Avenue Rapp. It is the most extravagant of entrances and worth a view. If you want to see your art nouveau in all one place, then head to the Musée d'Orsay, which has a large collection on display. In terms of the city of love, there's a wealth of attractions that you won't want to miss from the Eiffel Tower to the Louvre art museum, the Sacre Couer and Notre Dame cathedral. It's worth taking time out to try lesser known spots too like a tour of the Paris catacombs under the city, which is a little gory but totally fascinating. You can do the tour from 1 Avenue du Colonel Henri Rol-Tanguy. HOW TO GET THERE: You can easily reach Paris by train using the Eurostar via London from £29 each way, or direct flights from Birmingham International Airport including Air France, FlyBe and Vueling from £70 return. As the most European styled city in Russia, Saint Petersburg is overflowing with vintage art nouveau delights - not just in the famous State Hermitage museum but in the streets around it. Don't be put off by having to get a visa, this city is worth the hassle. Some other highlights include a boat trip on the winding canals and the Romanov memorial and graves of Tsar Nicholas II and his family, including the famous Anastasia at Peter and Paul Fortress. And take one piece of advice - make sure you take the underground. It's extravagance, chandeliers and mosaics are an attraction in themselves. The signs may not be in English, but it is easy enough to get around if you count the number of stops you need. HOW TO GET THERE: Birmingham International has indirect flights to Saint Petersburg from £220 with Brussels Airlines or KLM. The iconic, stylish beauty of Helsinki Central Train Station alone will leave you speechless. The granite building is famous for the statues either side of the entrance holding up lamps. 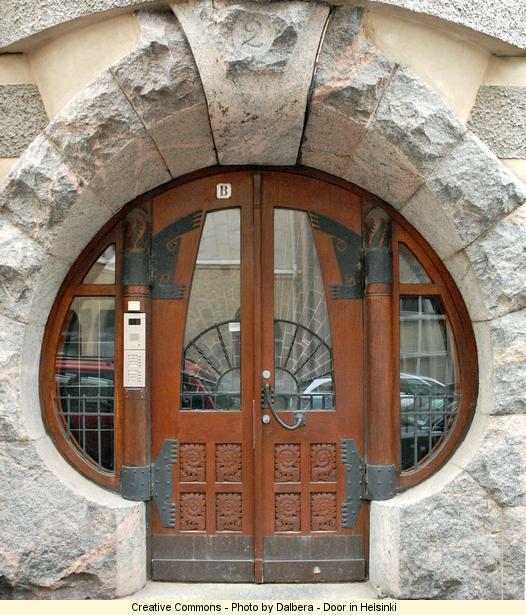 It was built by the architects Lindgren, Saarinen and Gesellius but there are touches of art nouveau in many of the other stone landmarks in the Finnish capital city. Helsinki has attractions including the Cathedral, Zoo, Esplanade Park, Tori Quarters, art museums, the Kamppi Chapel of Silence and the Temppeliaukio church, made directly into solid rock. Alternatively, if you want to tie in a trip to Helsinki with another place, it's a good idea to stay in the historic, beautiful medieval Estonian city of Tallinn and catch the first and last ferry of the day to and from Helsinki with Tallink. It's a two-hour trip, which gives you a good part of a day in Helsinki and time to see the best attractions. HOW TO GET THERE: There are regular indirect flights from Birmingham International Airport with Finnair at around £380. 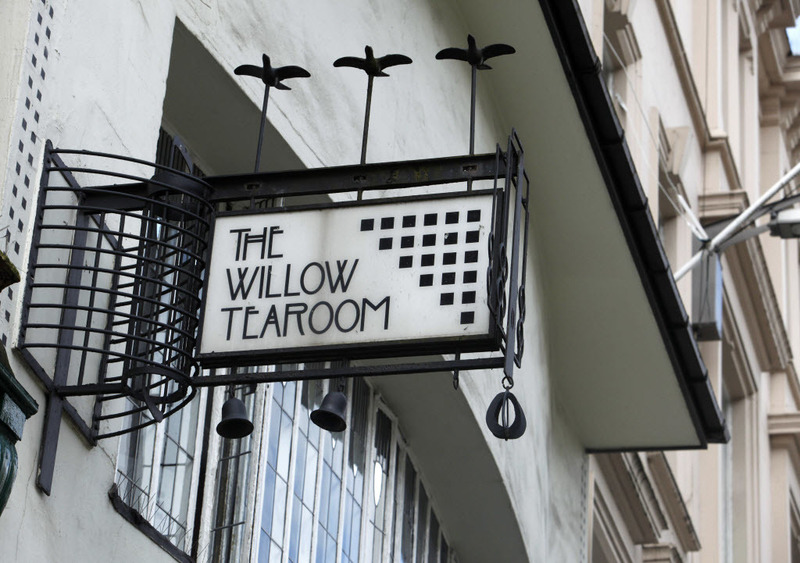 The Willow Tea Rooms in Glasgow are filled with artistic features. Rich in Charles Rennie Mackintosh gems, this city may have been renovated in recent years, but it has protected its architectural treasures from the past. Some of the best sights include Queen's Cross Church, known as the Mackintosh Church, the Willow Tearooms in Sauchiehall Street dating back to 1903 and the Glasgow School of Art at 167 Renfrew Street. Note that although The Lighthouse wasn't a Mackintosh design, the former Offices of the Glasgow Herald with its wonderful spiral staircase are worth seeing. Another spot to see is The Hill House, Upper Colquhoun Street, Helensburgh, which was designed by Mackintosh. For more details about the architect's work, visit the official website for the Charles Rennie Mackintosh Society. HOW TO GET THERE: There are regular trains to Glasgow from Birmingham New Street Station with Virgin Trains from around £90 return and also flights from Birmingham International Airport with Flybe from £70. The Sculpture of Riga is beautiful.